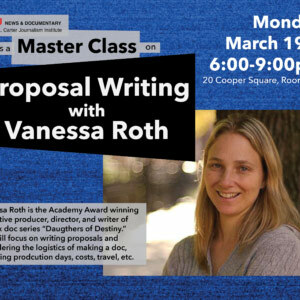 Vanessa Roth, the Academy-Award winning executive producer, director, and writer of Netflix documentary series "Daughters of Destiny" visited on March 19 to share her tips on proposal writing. 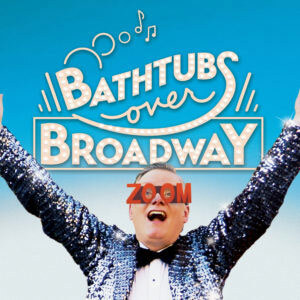 In September, "Bathtubs Over Broadway" director Dava Whisenant and screenwriter Ozzy Inguanzo stopped by to talk about process. 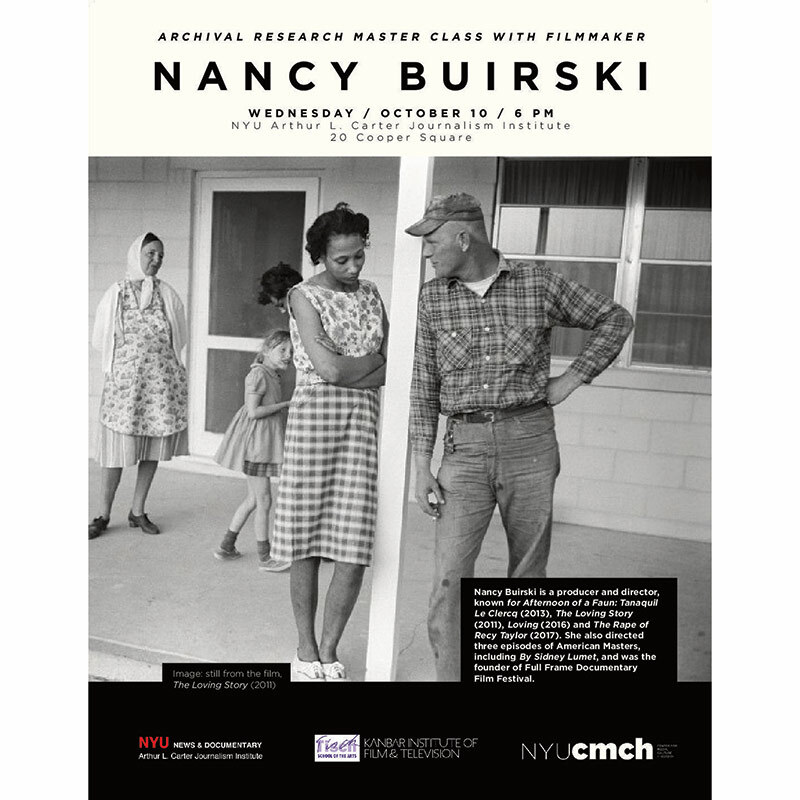 In October, Nancy Buirski stopped by NYU to talk about her work as a documentary filmmaker and her use of archival footage.